IT organizations have a journey to take to get to the cloud. Success with cloud requires an understanding that it is not just about the technology stack. Fundamentally, cloud is about applying technology to streamline IT operations and enable new business outcomes. Business needs must be aligned with technology, and with cloud this relationship is more critical than ever. 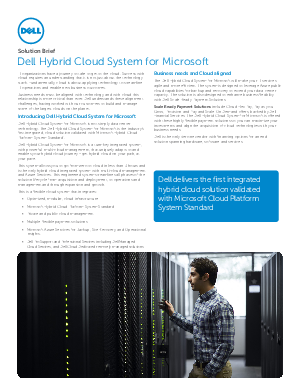 Dell understands these alignment challenges, having worked with our customers to build and manage some of the largest clouds on the planet.